I knew there were a bunch of speculative fiction writers groups here in Michigan, but I didn’t know one of them published annual anthologies! How cool is that? MiFiWriters is based in Michigan, and exists to promote the writing of science fiction by Michiganders. 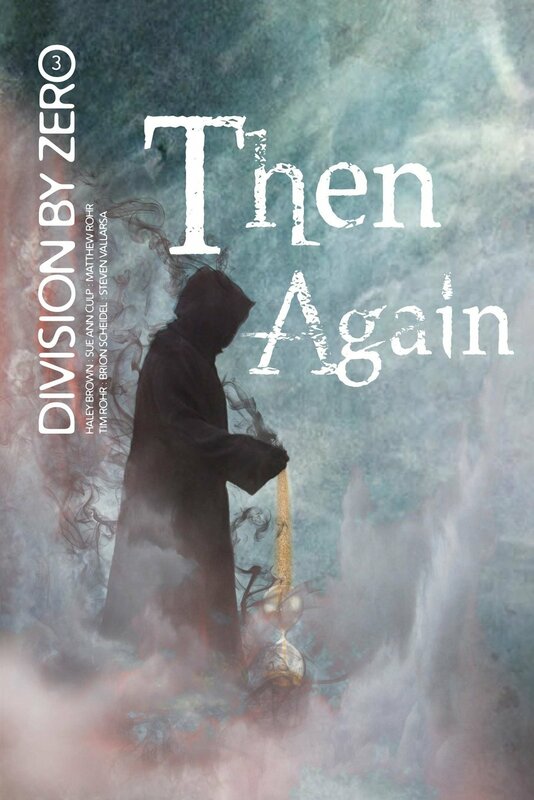 They recently published Then Again, the third anthology in their annual Division by Zero series. They choose a different theme each year, and the theme of Then Again was time travel. Imagine all the things you could do if you could travel through time: save lives, stop horrible things from happening, solve crimes before they happened. But what about the dangers of time travel? What if you only made the situation worse? What it time travel tore holes in spacetime? Ah, the beauty of what if! Here are a few of my thoughts on some of my favorite stories from Then Again. Time Enough, by Matthew Rohr – This was my favorite story in the collection. When Wilson Andrews successfully crosses a Campbell Bridge to go back in time, he doesn’t exactly come out when he expected. He knows his mission to kill a certain person, but first he’s got to find her. The scientists knew the journey through time would scramble his brain a little, so they’ve imprinted him with briefings and recordings to help him along the way. The story involves a lot of flashbacks and partial memories, so it feels like it is not told chronologically, giving it a feeling of wonderfully off kilter weirdness. Remember the movie Memento? This story feels like that a little, with Wilson coming across faces and voices that jog his memory. As his memory slowly returns, Wilson is able to put the puzzle pieces together. Once he realizes what is going on, will he be able to carry out the murder? Even though there is closure at the end, I liked that this story feels like a prologue or middle chapter of a longer book.